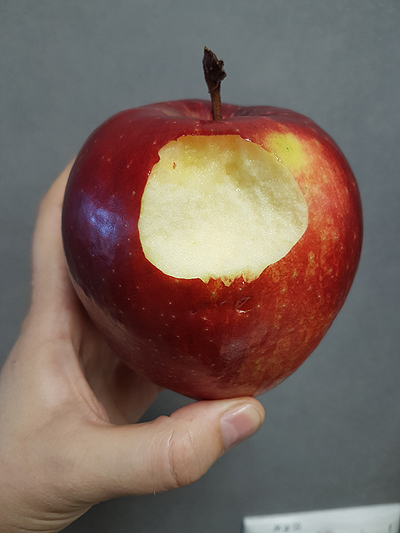 [what I ate.] 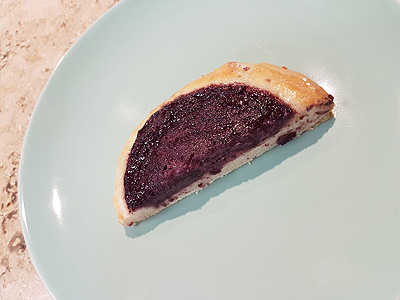 6 – 12. 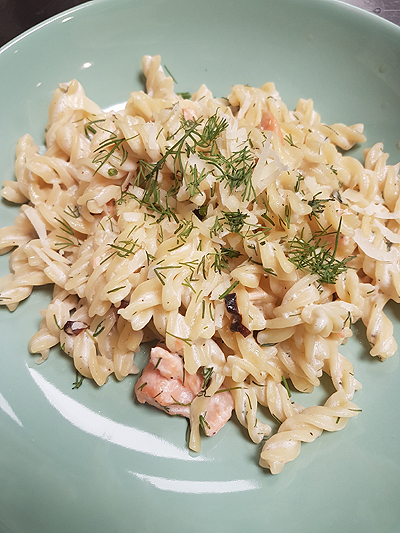 August 2018 – tulen loobin su katusele kive! 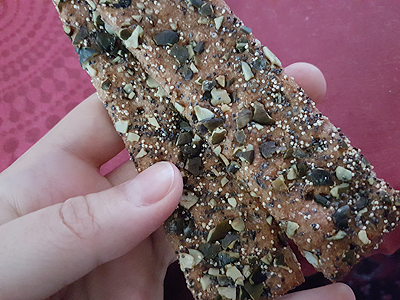 A couple of rye crackers with seeds. 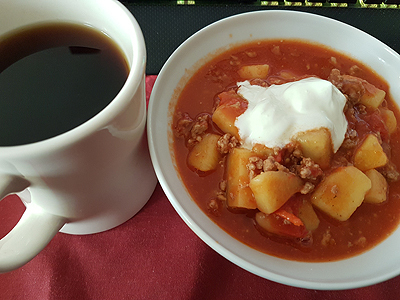 Coffee, minced meat-potato stew with sour cream. 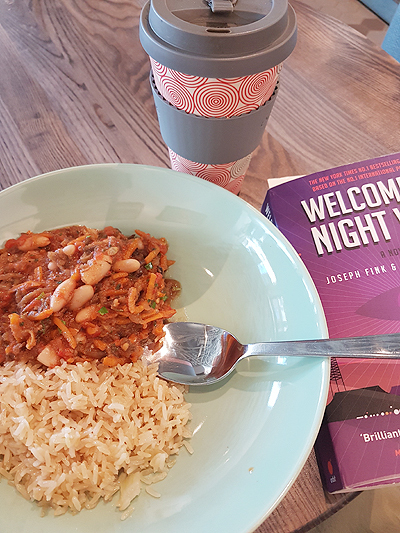 Chili sin carne with horribly undercooked and oily brown rice. 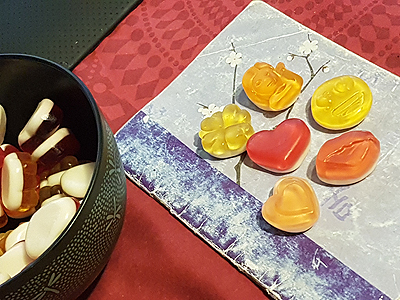 The chili was good, but the rice was definitely not good for my tummy. 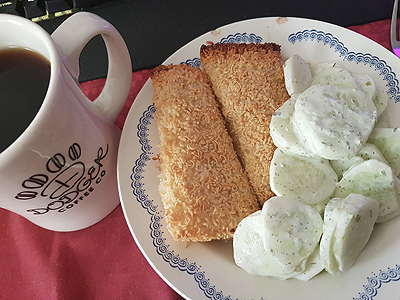 Coffee, baked fish and some simple cucumber-sour cream salad. 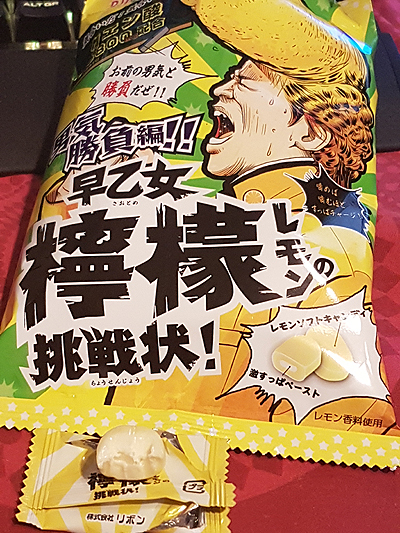 Some super sour lemon candies. 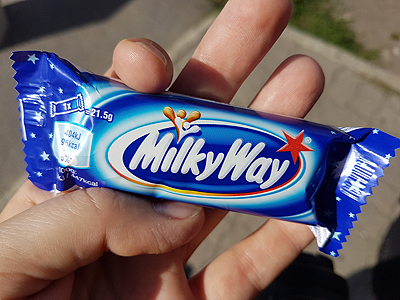 These were nice and sour. 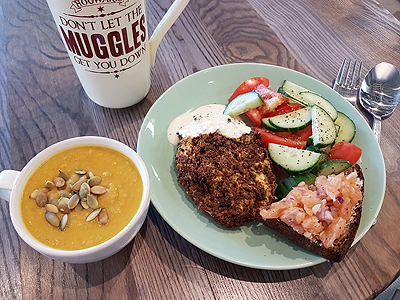 Coffee, some carrot soup with pumpkin seeds, a breaded potato patty, half a sandwich with salmon tartar and some salad. 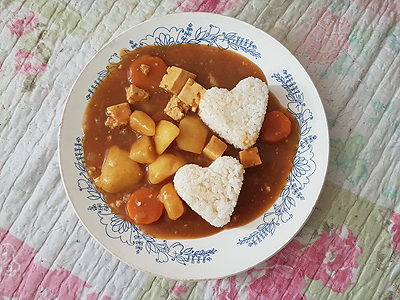 Japanese style curry rice with tofu. 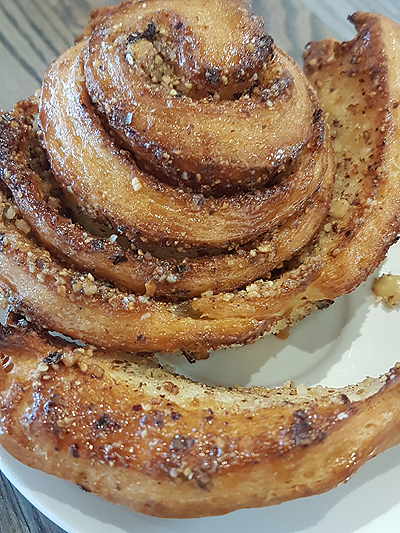 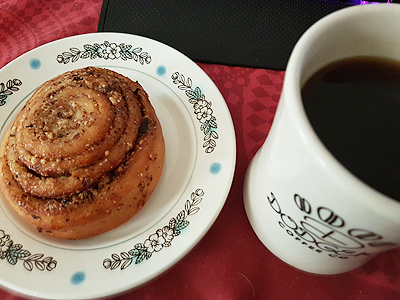 A hazelnut pastry and some coffee. 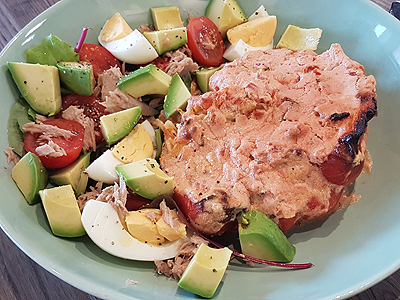 A rice and veggie stuffed bell pepper and some salad with tuna and boiled eggs. 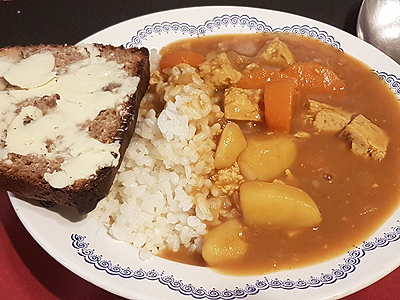 Japanese style curry rice with tofu and hazelnut rye bread with butter. 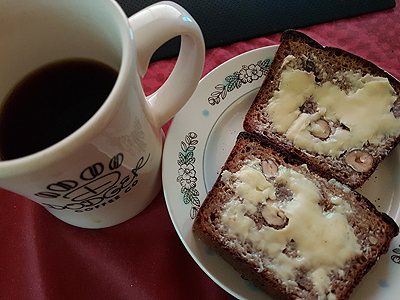 Coffee, hazelnut rye bread with butter. 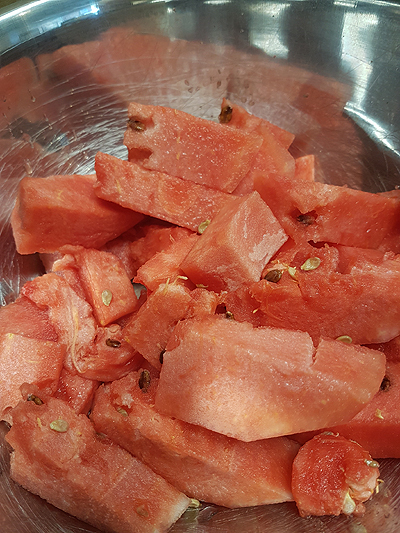 A few pieces of watermelon. 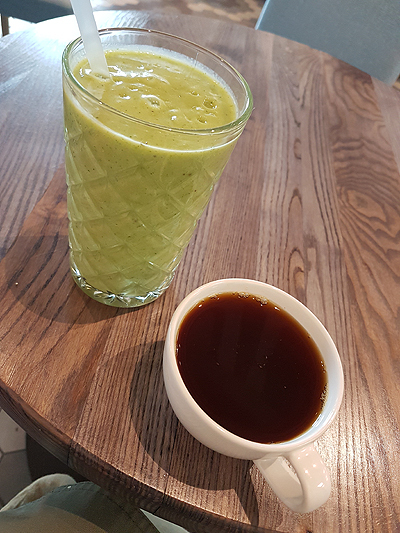 Avocado-banana-spinach smoothie and some coffee. 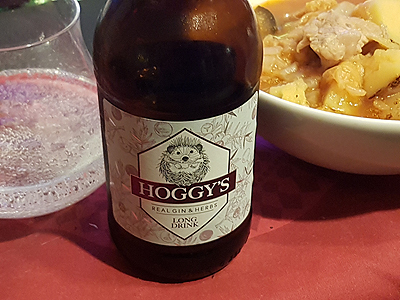 Hoggy’s long drink. 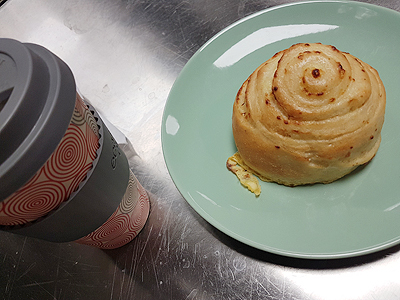 I plain bought this drink because of the cute hedgehog on the label xD The drink was alright. 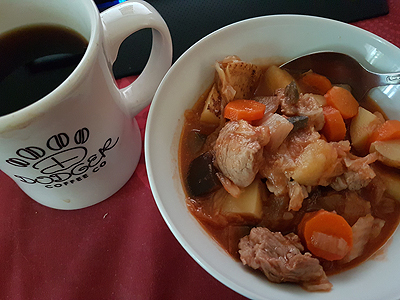 I also had some pork and vegetable stew. 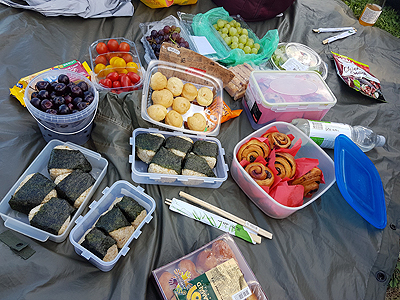 Picnic at Eesti Vabaõhumuuseum with friends: tuna onigiri, sweet cherries, tomatoes, grapes, pastries etc. 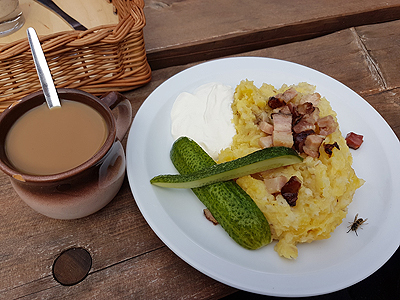 Coffee, Mulk’s porridge (mashed potatoes with pearl barley and bacon). 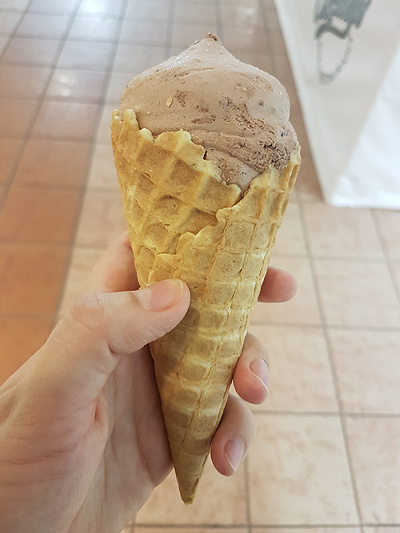 The wasp was an unwanted extra smearing itself on my food and not consumed. 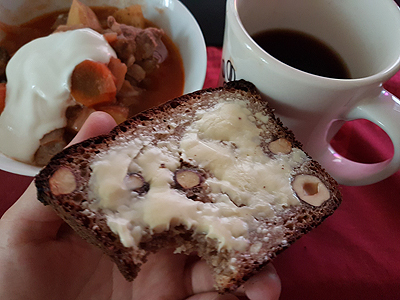 Pork-vegetable stew with sour cream, hazelnut rye bread with butter, coffee. 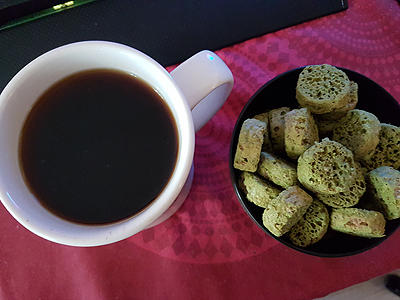 More coffee and some matcha cookies. 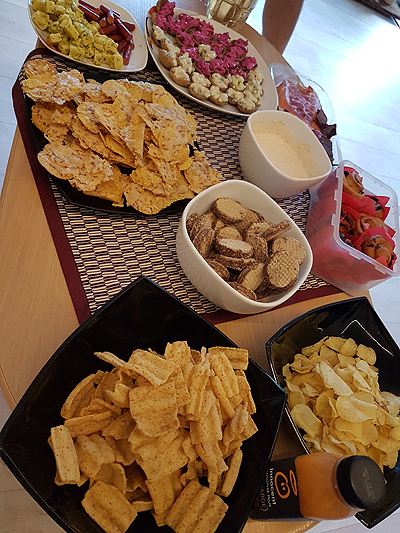 Movie night at Marit’s place: chips, sausages, cheese, tortilla chips with cheese, cookies etc. 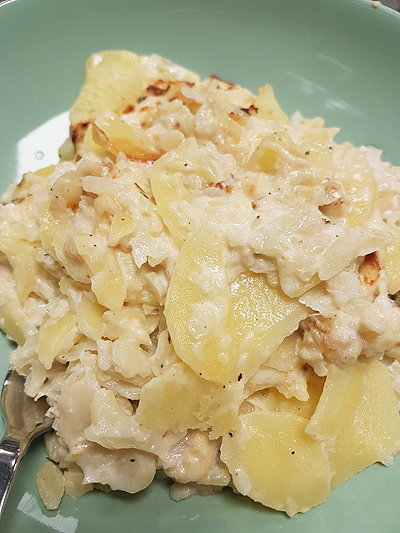 We watched “Red Sparrow” which was super gritty, but very enjoyable. 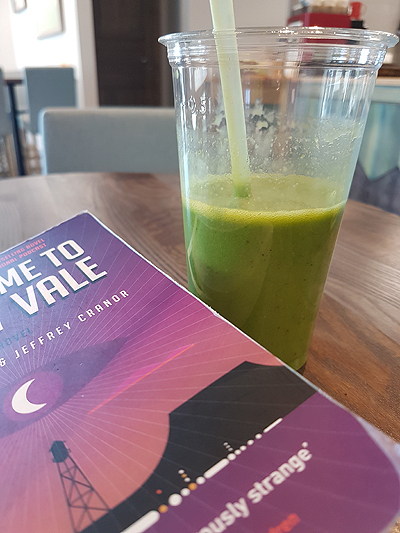 The start of the movie was kind of weird and jarred, but as the movie progressed it kept getting more and more interesting. 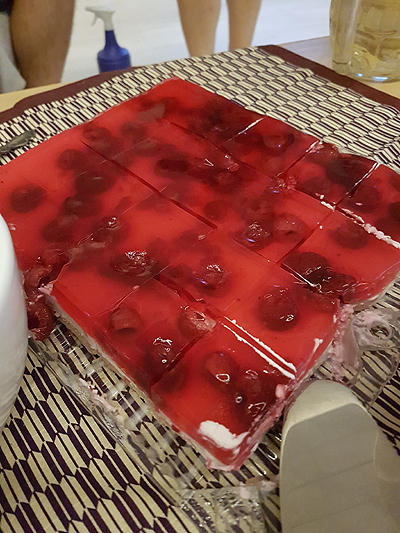 After the first movie we re-watched “John Wick” that was still very very good and sad.